Ok, let’s make some cat-persons seriously angry. 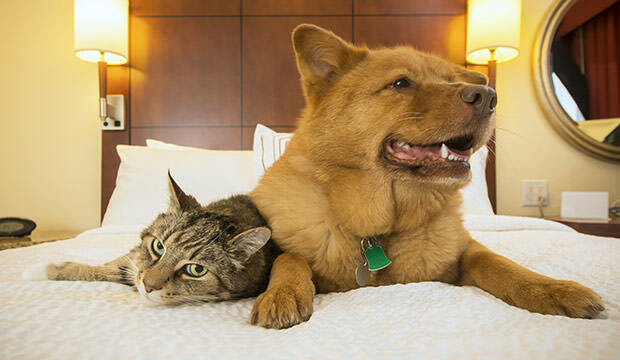 Although we at Dog Notebook don’t like to take sides as we love all animals equally, we do recognize certain benefits of having a canine friend over those bouncy but sly little furballs that are cats. Let’s go over a few of them, one by one. Although this one is often debated, majority of animal lovers consider dogs to be smarter and more brisk than cats. Despite the fact that cats can do some seriously awesome stunts and jumps, dogs are overall much easier to train, teach them new tricks, and you don’t exactly see them falling into fish tanks all the time. You’ve probably seen our feline friends falling off couches, bookshelves, or running into glass doors. This is not the case with dogs. Aside from learning tricks, being more obedient and less clumsy, dogs are actually proven to be as smart as 2-year-old children. Not to mention they work with the military, police department, and fire department, but more on that later in this article.